It seems that every year around this time when many in this country are fixed to their television screens, cell phones, and computer screens viewing March Madness. Another scandal is playing out in the media or in courtrooms related to the play for pay for college basketball players that is invisible to the NCAA but visible for anyone else who understands the lack of ethics that exists when huge monies are at stake as they are when it involves college basketball. When the highest percentage of quality or star basketball players on college or university rosters are African Americans. 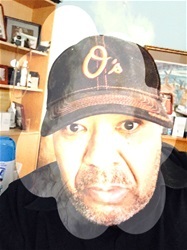 Their names are most prominent when the accusing fingers point at players who accept financial inducements to attend particular college or university or get financial inducement to consider signing with a particular basketball shoe company or sports talent agency. The brothers who have developed unbelievable skills in playing the sport of basketball are simply pawns in this multiple billion-dollar sports industry that revolves around college basketball. The time is now to end the atmosphere that induces agents, college boosters, college coaches, parents, and corporate representatives from using any and all means to muddy up the game of college basketball. The only way that these criminal acts are going to end is if we make the penalties for anyone or any institution who abuses the system enormous. Today, on my blog I plan to discuss ways I feel will cut out many of the conditions that promote the currently exist in college basketball currently. It almost may make the college game more competitive along with allowing college basketball players who are the reason the game is played no longer pawns but actual financial participants in sharing in the revenue of the game. We won’t have accusing fingers being pointed at Bol Bol or DeAndre Ayton for taking financial inducements to attend a specific college or university. Hopefully, soon the National Basketball Association ends this ludicrous "one and done" policy in college basketball. Maybe, the top 100 high school players will be playing for pay on a professional team in the G League rather than playing for illegal kickbacks on a college team. Right now the only way to fix these illegal payments or kickbacks is to eliminate the natural inclination of big money college programs from cheating. Schools will cheat either a little bit that may go unnoticed or a great deal to gain that winning advantage. College boosters, corporate basketball sneaker representatives and professional agents all looking for the next "IT" to bring luster, or revenue to the school, agency, or corporation. So if a high school player decides to go to college rather than turn professional. That college basketball player then will be obligated to playing for a minimum of three years just like college football and college baseball. In addition, after playing a minimum of 3 years the enrolling college will be mandated to provide every opportunity for that individual to receive his degree no matter how long that takes. In addition, any revenue drawn from selling the player merchandise will be collected into a national fund to be shared equally amongst all college basketball players within the NCAA Division 1 basketball programs and those participating colleges. In addition, any revenue derived from all media contracts that televise college basketball games as well as coaches shows will also be a source of funding for the athletes and the schools. The percentage of revenue those players will share will be in the range not exceeding 25%. This means that the enormous amounts of monies made by these college coaches will be somewhat limited in scope. However, the situations of one and done players getting under the table payments will be eliminated due to this punitive response by the NCAA. Any entity caught making illegal payments no matter the amount will immediately have their rights and privileges suspended. If a university, or college is caught making those payments the program will be suspending from participation for no less than 1 year on the first offense and will lose all rights of providing scholarships for a period of no less than 2 years on the first offense. Any proceeding offense will mean termination of that program for a period of 4 years, the length of time a player matriculates at that university or college. With these regulations in place, every player will get his due payment. My major concern is those players who don't decide to go to a college or university. However, supports can be put in place to provide guaranteed income for any players who cannot make the leap from the G League to the NBA. In addition, the NBA would also guarantee that each of these players is provided the opportunity to enroll in a college or university until he has been granted his degree. Maybe these suggestions will eliminate the illegality that is currently pervasive in college basketball today. 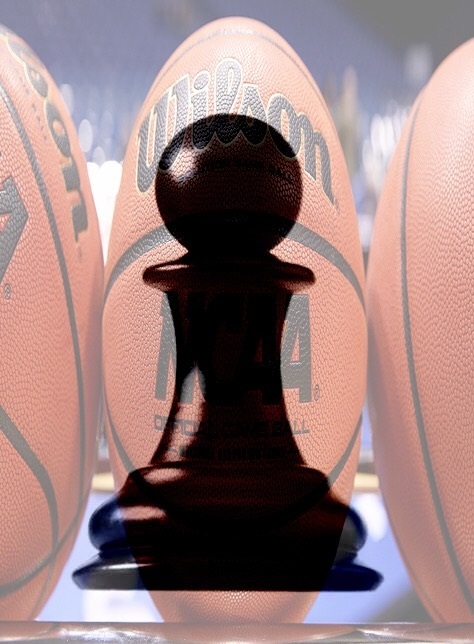 Maybe our black basketball warriors won't always be pawns in this money game of chess.